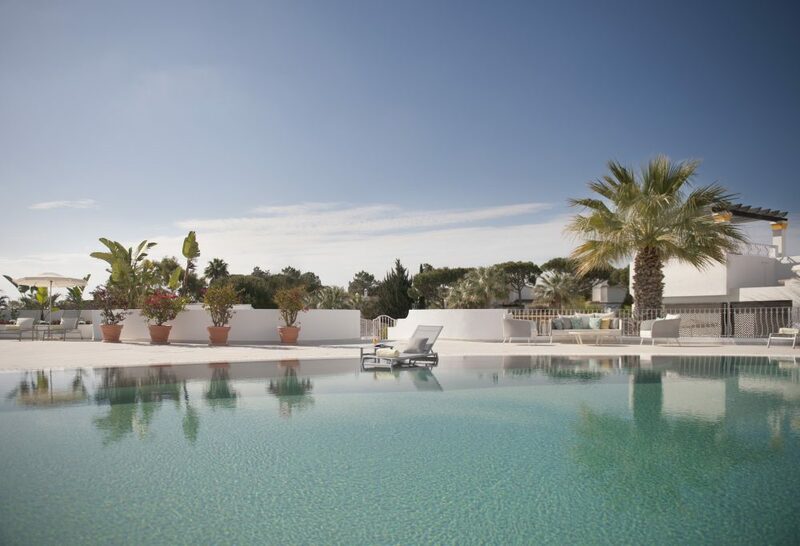 Four Seasons Fairways, one of the Algarve’s most prestigious villa resorts, boasting a mix of two and three bed villas (132 in total) is thrilled to announce the opening of their NEW Clubhouse following a seven-monthrefurbishment and €2m investment. Four Seasons Fairways is open year-round, so great thought was required to create a design that works for all seasons, whatever the weather. 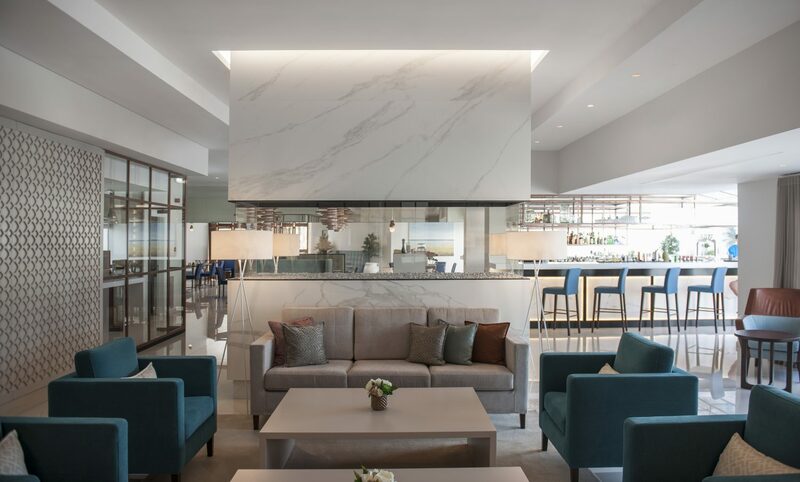 With this in mind, the team created a space that is fresh and light, incorporating a stunning and spacious inside outside bar area that sits alongside intimate, cosy areas for dining and a spectacular fireplace. Crittall doors and windows are in abundance and have been cleverly designed and finished with a brushed copper effect to reflect the traditional Portuguese ‘Cataplana’, an item of cookware used to prepare Portuguese seafood dishes. The layout and design of the restaurants reflect the essence of Portuguese dining – the feeling of warmth between friends and family, a social, convivial atmosphere. The craftsmanship and attention to detail throughout is second to none. 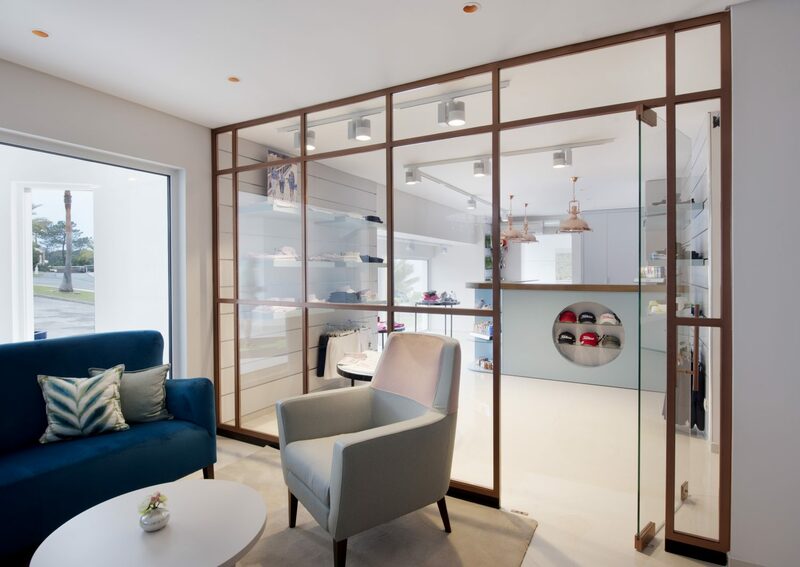 Everything has been made to measure with the design team commissioning numerous one-off handmade pieces and wherever possible sourcing locally, with fabrics and furniture all made in Portugal. Handmade pendant lights using linked copper rings to emulate bee hives hang throughout VIVO and have been designed to reflect the local area’s sizeable production of honey. Guests will also notice, on entering the Clubhouse, that they pass over a large rug, handmade in Northern Portugal, the design of which symbolises Portuguese lace, one of the country’s oldest and most intricate handcrafts. A green palette runs throughout the Clubhouse to reflect the lush, landscaped gardens and neighbouring golf courses that surround the resort. Green hues are complimented with dusky pinks, oatmeal and striking peacock blue furniture with a variety of textures and fabrics used throughout. Four Seasons Fairways has also incorporated a club room, an entertainment area into the Clubhouse area with full size snooker table, private workstations, lounge area and giant TV screen to show major sporting events. The carpet, wallpaper and panels throughout this area evoke a sense of local heritage and are inspired by ‘Azulejos’, traditional Portuguese tiling, which can also be found in the resorts newly renovated villas. One of the most beautiful sights to behold in the Algarve is when the Almond Trees are in blossom, covering the ground in what looks like a blanket of snow. This inspired the lighting in the Amara restaurant. 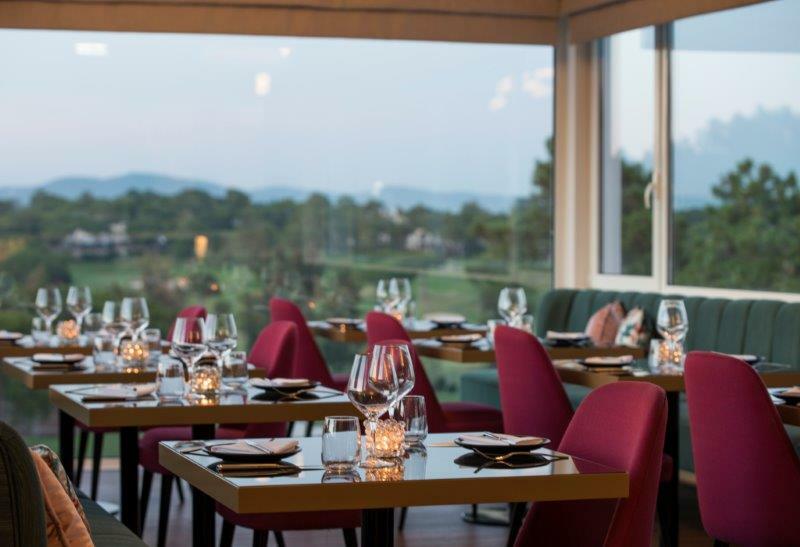 Four Seasons Fairways wanted to create a statement with Amara, an elegant restaurant boasting some of the best views in Quinta do Lago. 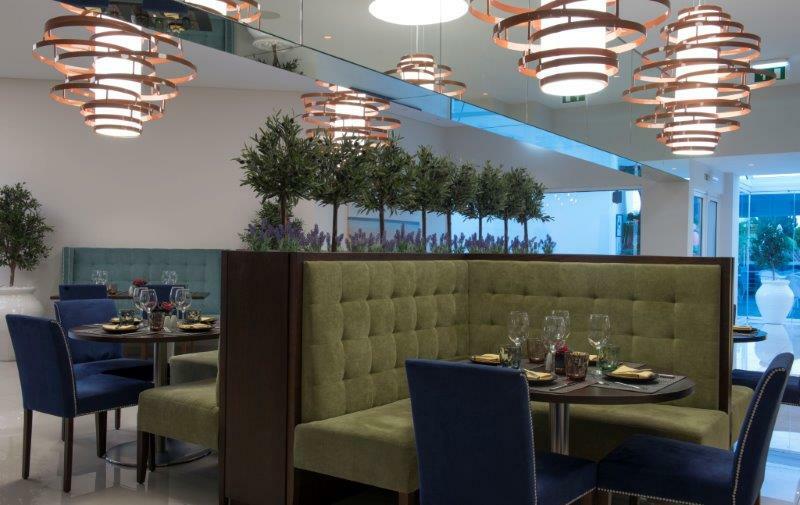 The restaurant is home to an intimate bar area featuring low hanging white Morwad marble pendant lighting by Tom Dixon, where guests can enjoy an aperitif before dining. The use of warm woods, crimson chairs, scalloped banquette seating and a large back lit customised panel give the restaurant a sense of drama. Four Seasons Fairways (www.fourseasonsfairways.com) offer 7 nights in a two-bed apartment with Jacuzzi from £1,050/€1200 in low season and £2,535/€2900 in high season.